Thirty years ago today, the space shuttle Challenger exploded just 73 seconds into its flight, taking the lives of all seven astronauts, including school teacher Christa McAuliffe. As with most tragic events that affect an entire nation, I remember where I was when I learned of the disaster. I was just returning home from a morning class during my undergraduate days at Michigan State University. My roommate and I watched the network news bulletins in utter disbelief. The investigation following the disaster concluded that the cause of the explosion was a failure in an O-ring component of the solid fuel rocket boosters which allowed hot gas to escape and ignite the shuttle’s external fuel tank. The O-rings had a design flaw which had long before been deemed to be acceptable and several previous successful shuttle launches seemed to support that conclusion. However, the O-ring design flaw presented greater risk at colder temperatures. On the morning of January 28, 1986, the Florida temperature was a mere 36 degrees Fahrenheit. In the days following the disaster, we learned that there were engineers who had cautioned that the O-rings may not properly seal at temperatures below 53 degrees Fahrenheit, but such cautions were either ignored or were not effectively communicated. Much has been written regarding this disaster and its obvious risk management failings over the last 30 years. There have been alternative theories, talk of conspiracies and cover-ups, and frankly some pretty wacky stuff. I can’t help but wonder if this disaster might have been averted had their been more of an enterprise-wide risk management process in place. Don’t get me wrong… NASA and all of the contractors involved in the space program for the last 50+ years have always taken the significant risks of space travel very seriously, and have had many processes and checklists in place to ensure that no step was missed and no procedure left undocumented. The ingenuity and dedication to astronaut safety was on full display in the case of Apollo 13. 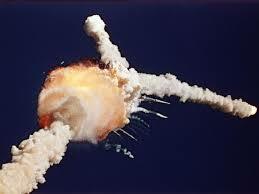 That NASA mission also endured a catastrophic explosion, but with a much happier ending. The fact is, bad things will happen. The entire profession of risk management and the insurance industry that serves us exist only because there is risk in everything that we do. We need to be prepared to identify and control these risks, and finance the economic impact of the risks that slip past us. Enterprise risk management is a relatively recent approach and evolution from the traditional risk management approach where risk and risk control existed within organizational silos. ERM addresses risk more holistically and bridges across those organizational silos. I am no expert on the Challenger disaster and the investigation, but it seems to me that there is a fair amount of evidence that the launch decision on that cold Florida morning 30 years ago was made without the benefit of sufficient risk information from across the NASA enterprise. And if that is true, what a shame that enterprise risk management couldn’t have evolved a few decades earlier. This entry was posted in enterprise risk management, Risk Management and tagged Challenger, disaster, NASA, risk management, space shuttle on January 29, 2016 by drdavidallenbrown. Price optimization is not a new concept, though it is receiving increasing attention in the insurance industry. Ushered in with the era of “big data” and “predictive analytics” commercial enterprises of all stripes now have the ability to refine pricing on the fly in order to extract every available ounce of economic value from their customers. At its heart, price optimization involves charging higher prices to customers who are able and willing to bear the additional cost, whether they realize it or not. Herein lies the rub. Two customers may purchase an identical product or service but one customer pays more simply because data analytics indicated that the customer was less likely to shop around or otherwise balk at the higher price. The customer paying the higher price may not even know (probably doesn’t) that they just paid a higher price for the identical product compared to other customers. The use of price optimization on insurance premiums has all the makings of the credit-score-as-a-rating-factor controversy, if not more. Opponents of credit score premium rating argue that the credit score is not related to the cost of risk associated with insuring a particular individual – except that there is statistical evidence that it is. Circular arguments ensue. However, price optimization is a cat of another stripe. Suppose an insured is charged more premium than would otherwise be charged simply because data analytics indicate that the customer is likely to accept and pay the premium based on the data model showing that last year’s rate increase did not cause the customer to move his business. What does that customer’s propensity to stay with the insurer in spite of a rate increase have to do with the customer’s risk of loss? Nothing, as far as I know. So price optimization boils down to charging more premium because, well, we can…. at least that’s what the predictive models tell us. I am reluctant to get on the price optimization bandwagon, for the same reason that the “Gee mom, everyone is doing it” defense didn’t work for me a few decades ago. The frequent retort from mom was, “And if everyone jumped off a bridge, would you?” I suspect that price optimization is going to encounter greater regulatory resistance than credit scores (it already has in several states) and the cost of risk justification is far more tenuous. Even in the absence of regulatory concerns, the insurance industry might want to avoid becoming addicted to price optimization such that it begins to overshadow prudent underwriting and risk-based pricing. Imagine a world where insurance premium optimization data models become so accurate and reliable that they begin to supplant underwriting principles and the computer models start engaging in cut-throat price optimization pricing that become increasing devoid of links to the actual cost of risk. I would hope that regulators would step in before it went that far, but after 2007-2009 (and the subsequent knee-jerk reactions), I have no illusions of what regulators will and will not do. In the end, I just have a bad feeling about “optimized” insurance premiums. The insurance industry doesn’t need another reason for consumers to dislike and mistrust the industry. I’d rather focus resources on improved cost of risk predictive modeling to better fit pricing to each insured’s risk profile, and let the airlines incur consumer wrath for playing these sorts of pricing games. Serves them right for treating us like cattle. This entry was posted in Insurance and tagged insurance, price optimization, underwriting on January 22, 2016 by drdavidallenbrown. 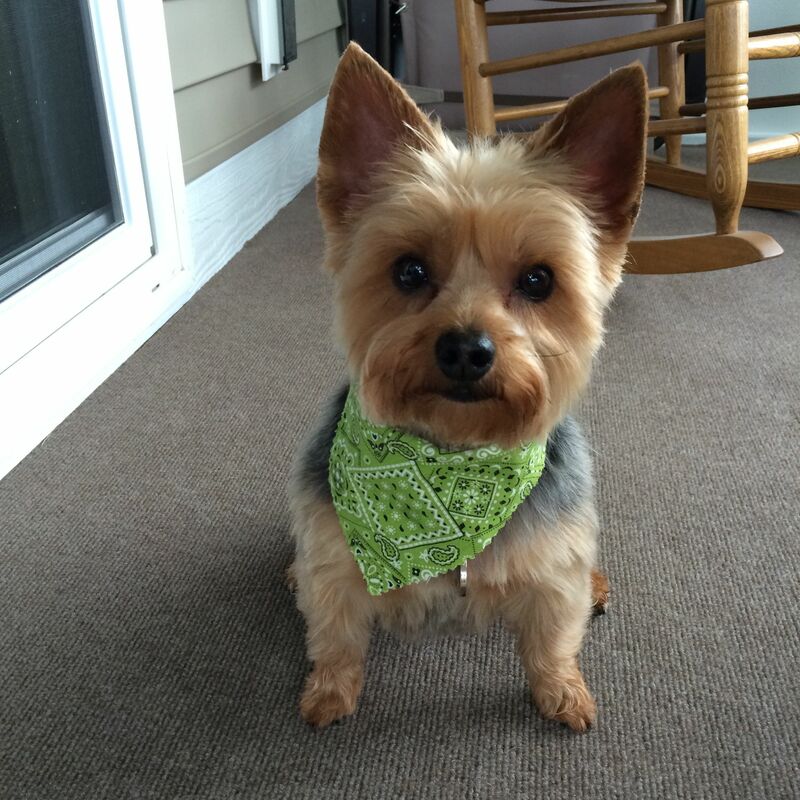 This is Ava, my daughter’s 4 year-old Yorkshire Terrier. Ava lives with us while my daughter is away at college. Ava is a healthy, spunky little dog with a teddy bear face that actually reminds me of an Ewok from Star Wars fame. One of her most endearing qualities is that she flashes this cute “Winn-Dixie smile” whenever she greets a family member returning home. That cute smile was unexpectedly in jeopardy over the recent holidays, when Miss Ava underwent two significant dental procedures that caught me and my wallet totally by surprise. We were aware that Yorkies are prone to dental issues and so we’ve been diligent about taking her to the vet for annual cleanings, which requires anesthesia and all the expense that goes with that. As an aside, my wife, who dreads dental visits as if they were rituals of human sacrifice, wants to know why general anesthesia is not an option for human dental cleanings. Back to Ava’s story… I don’t want to denigrate our former veterinary clinic that previously performed Miss Ava’s annual dental cleaning, but now that we live in the “big city” we took her to larger vet practice this time around. At this new clinic, they do more than just clean the dog’s teeth. They take x-rays… a lot of x-rays. The former vet took none. The difference is that the x-rays revealed abscesses, a fractured tooth, and four smaller teeth that were just plain missing. So on the day before Thanksgiving, Miss Ava had four abscessed teeth extracted while I had $1,000 extracted from my wallet. Worse yet, we weren’t finished. There were two problem molars (one of which was the aforementioned fractured tooth) that are important to the dog’s ability to chew her food that we needed to “save” rather than extract. “How do we ‘save’ those teeth in a small dog?” I asked. The answer… consultation with another vet clinic in Spring Lake that specializes in doggy dentistry to see if one or both teeth need a root canal. Say what? A root canal? For a dog? Yep. Uh…. how much? Oh, probably $1200-$2500, depending on how many teeth need work. Gulp. The x-rays were sent off to the doggy dentist, and a consultation appointment was set for early January. I took Miss Ava for her appointment just a few days ago. The verdict… only one molar needed a root canal (for now) and the procedure was completed in about three hours. This time, my wallet was lightened by just under $1,400, and I mysteriously felt relieved that it was “only” $1,400. I am pleased to report that Miss Ava is doing very well, acting like her usual self, and enjoying “mushy” food while her mouth heals. Next week, we begin preventative tooth-brushing and anti-bacterial mouthwash to ward off more problems down the road, but we’ve been warned that Yorkies often have more and more dental problems as they age in spite of the best preventative measures. Like most pets in most families, Miss Ava is very much a part of our family. She joined our family when our daughter was still in high school and has been a joyful companion to all of us over the last four years. Although we just spent a considerable sum of money on this little critter, I don’t regret it and I didn’t even consider not spending it when all of this came up. I openly confess that Ava has grown on me as much as she has the rest of our family. We routinely insure the most important things in our lives. Our major assets such as cars, homes, and businesses are insured. We insure our income from disability and premature death. We insure our health through medical, dental, and vision insurance. We insure our collections, keepsakes, and tools through scheduled property floaters and inland marine insurance. Our pets? Well, there is pet health insurance from a number of companies, some of whom have been around for years. I’ve investigated pet health insurance policies for our pets in the past but I’ve never purchased it. Why not? Because risk retention made more sense given the array of exclusions and conditions written into these policies. Many of the more serious and costly problems are often excluded. Hip dysplasia is one such example, and the wide category known as “hereditary conditions” is another. Pre-existing conditions? Not covered. Dental cleanings? Not covered – except by a few much more expensive policies. Doggy root canals? Still checking on that. In conclusion, now that Ava’s mouth has been fixed up and the preventative measures begin next week, I am once again intrigued by exploring the latest offerings in the pet insurance market. Parting ways with big bucks after a loss has a tendency to make anyone question their risk retention strategy. I suspect that I will once again weigh the exclusions against the premiums and decide to continue retaining the health insurance risk for Miss Ava. Nevertheless, I hold out hope that there is an economically sensible insurance option out there to handle the truly catastrophic risk (e.g., cancer) that might rob us of our little watchdog prematurely. If Ava’s teeth continue to be a problem, I’ve told my daughter that I’m just going to open my wallet and have them replace all of Ava’s teeth with golden dentures. Miss Ava will have an impressive grill when she flashes her smile. This entry was posted in Insurance and tagged pet health insurance, pets, Yorkshire Terriers on January 7, 2016 by drdavidallenbrown.